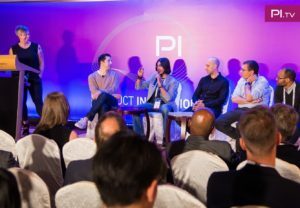 If you are at all interested in how technology is affecting the fashion industry then you could do a lot worse than getting involved with PI.TV, and specifically PI Apparel. This London based company host events around the world addressing the future of our business. Our head of Business Development and R&D, Richard Hobbs, was asked to be chairperson of the most recent event held in HK in April. 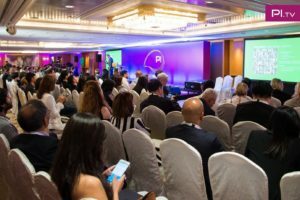 Over 300 movers and shakers from the supply side of our industry met at the Kowloon Shangri-La over two days to see stimulating presentations, engage in closed door workshops and hear some challenging panel sessions. Topics covered included 3D design focusing on standards and inter-operability. 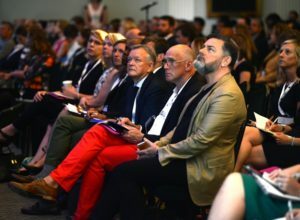 The role of education institutes in preparing the workforce for industry 4.0 and the influence of open source products and service across PLM, ERP and SCM systems. Sustainability was another hot topic. We would recommend anyone who cares about where the fashion business might be heading to look at getting in to PI Apparel. The next event is in New York in June 2018 and it will be back in HK next year. COPYRIGHT 2018 GLOBAL MANAGEMENT SERVICES LTD.